When you have guests for your dinner party that need a gluten-free diet, there are a lot of considerations. What the heck is gluten and how can you avoid it? What can you feed them that will satisfy their dietary needs? How can you make sure that they won't get ill? Adding all of these considerations into the stress of a dinner party or holiday meal can mean quite a few changes. The research needed to know that a particular ingredient contains Wheat, Rye and Barley can take a lot of time and effort. Even depending on gluten-free labeling on the packaging isn't quite enough to eliminate cross contamination. Some manufacturers use the same production lines for wheat based and gluten free lines of products. Many gluten-free people still get sick from that tiny exposure. It is proven that 20 parts per million will elicit damage in a celiac patient, that is why the maximum level of gluten allowed in labeled gluten-free foods must fall below that 20ppm standard. So if you see the words, made on shared equipment on the package for your gluten-free guest, pass it by. For most gluten free guests, serving a lovely grilled/roasted meat or fish, accompanied by sautéed vegetables would be plenty. 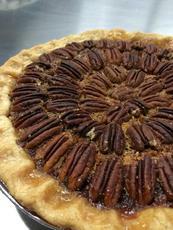 But for holidays, those times of abundance and indulgence, having a gluten-free roll or piece of pie makes it truly special. I look for certified Gluten-Free Labeling, or labeling from the Celiac Sprue Association or NSF Certification. As for bakeries, I'd like to make a one suggestion to ease your mind and one that will make your life simpler. 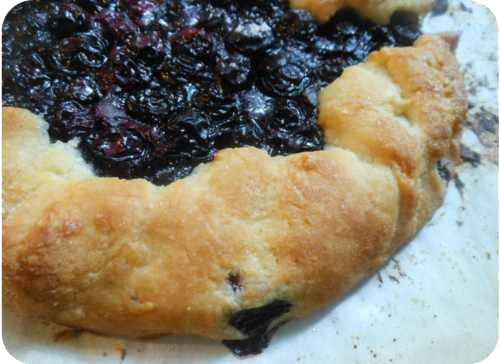 Buy the breads, cakes and pies you would like to serve from a dedicated gluten-free bakery. Those businesses have already taken care of any possibility of cross contamination. Dedicated means that there is no wheat, rye or barley in the facility. It means that the supply chain of flours to the bakery has been checked for possible gluten contamination. It means that there isn't a concern about the flour cloud that happens as the giant mixer blends the flours together for your baked good. And your guest will not get sick. As long as you maintain the lack of contact with wheat, rye or barley, then your guests will enjoy the party as much or more than your other guests. Gather a pretty pie server and knife. Label them as the Gluten-Free set and don't cut anything else with them that night. This list is the result of crowd sourcing. 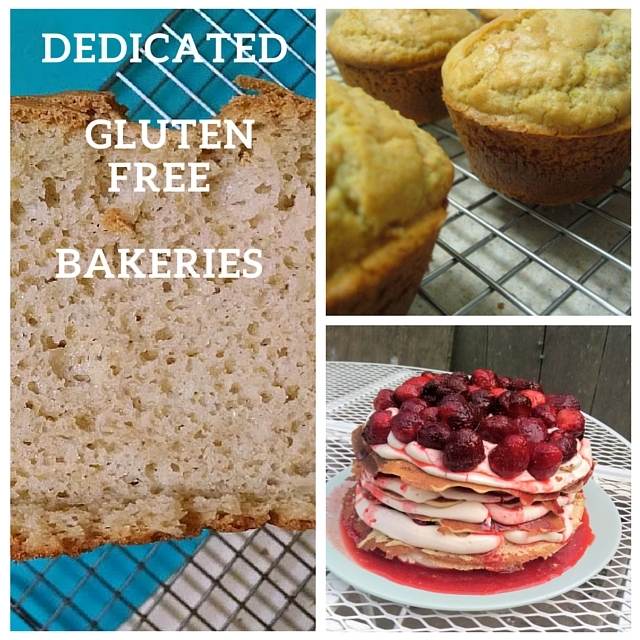 If you know of another dedicated gluten-free bakery, please let me know in the comments. If it says (M) after the name, that means you can order mail order for something that would be appropriate for bread or roll and/or the ending of a meal. Unless you live in Portland, OR or Salt Lake City UT where there are multiple bakeries, you might just save some time this way. Planning ahead makes hosting truly simple. Dedicated #GlutenFree Bakeries, Is one in your town? Kim and Jake's Cakes . Portland, ORBack to Eden Bakery. Tula Gluten Free Bakery (M). OMG RU Sure Its Gluten-Free (M). A&J Bakery- Nut Free too! (M). I Can't Believe It's Allergy Free.